Background: my husband’s brother, Otis Whitehead, was found dead in his apartment yesterday morning from what we assume was a heart attack. He was 42. But we were united in love for many of the same people, and people I love are now utterly devastated by his loss. My father-in-law has to bury his son. My husband has to bury his brother. My 11yo niece’s father is gone forever. My kids have lost their beloved uncle. Everyone is bereaved and sad, and I am sad for them. And death is TERRIFYING. Walking around with the awareness that the people we love are only with us via these tender, delicate bodies that sometimes stop working…. it’s painful and frightening. I’m afraid of losing my husband. I’m afraid of losing my sisters and father and stepmom and friends. I’m stark-raving terrified of losing my kids. And there’s nothing you can do about it. Everyone dies. How do we do all the things we do — pay the bills, go to work, pull weeds, feed cats, sweep floors, fold laundry, read books, watch tv, STRIVE AT ANYTHING — while we hold the knowledge that our time on this earth is finite, and can end at any time? This same flower that smiles today, tomorrow will be dying. My understanding is that we should deal with all that by cherishing every moment we can and embracing joy and peace. (Mr. Herrick certainly had his own set of coping mechanisms.) I wish I were zen enough to scrub pots and visit the DMV awash with joy at the miracle of the world. Maybe it just takes more practice? Mostly I just want to cry, in fear and sadness at the fleeting nature of existence. And then do something more interesting because ZOMG what a downer, right? I guess if I were zen enough I’d embrace the suffering and cherish that as well. That might be more restful than all this running from it, then succumbing to it in despair. I guess wishing I were more zen isn’t very zen either, alas. I’m sorry for your loss. Not Zen here either. 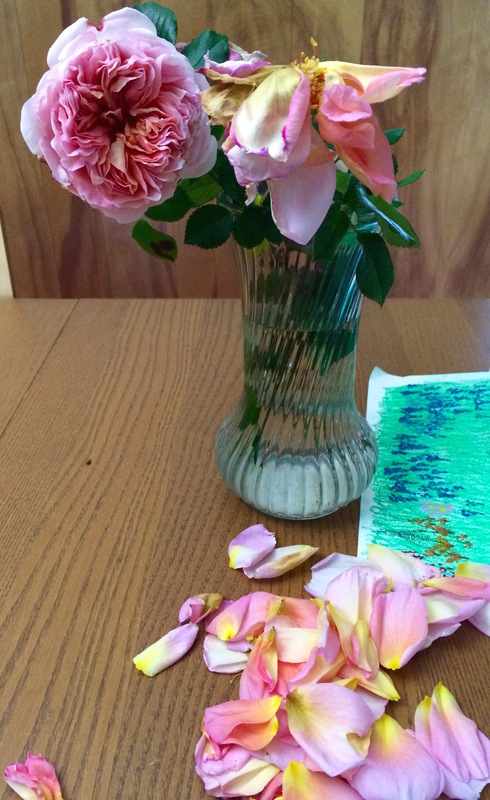 Grieving and pondering loss makes sense to me as purposeful…fully human.